NL3033 is an economical alternative to more expensive "branded" products. 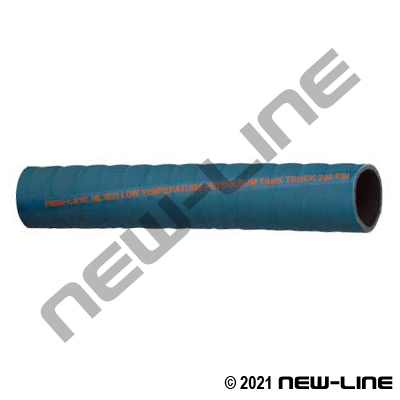 It is a lightweight rubber hose that offers flexibility, durability, and good handling capabilities - even at low temperatures. It is suitable for unleaded gasoline/fuels (less than 50% aromatic content), ethanol, diesel, kerosene, hydraulic fluids, hydrocarbons. It is also resistant to fats, greases, animal/vegetable oils, hot/cold water (not food grade), and certain solvents. It has an abrasion resistant corrugated cover which permits good flexibility and smooth movement over rough, surfaces.